Monrovia is the capital city of the West African country of Liberia. Located on the Atlantic Coast at Cape Mesurado, Monrovia had a population of 1,010,970 as of the 2008 census. With 29% of the total population of Liberia, Monrovia is the country's most populous city. From January 7, 1822 until the Liberian Declaration of Independence from the American Colonization Society on July 26, 1847 some 3,198 ex-Caribbean slaves settlers from the Lesser Antilles, who had escaped from their slaveholder or were born free, left the Caribbean islands and came to Liberia with the help and support of the American Colonization Society and other establishment organizations. The ex-Caribbean slaves came to Liberia to live a better life, to be free, and to establish self-governance. The first ex-Caribbean slaves who came to Liberia were from Barbados; some 500 to 1,000 ex-Caribbean slaves arrived in Liberia. The second group of settlers who came from the Caribbean islands were from Trinidad and Tobago; they were some 345 ex-Caribbean slaves, followed by some 620 ex-Caribbean slaves from Saint Vincent and the Grenadines. Another group of settlers, some 350 ex-Caribbean slaves, came from Saint Kitts and Nevis. 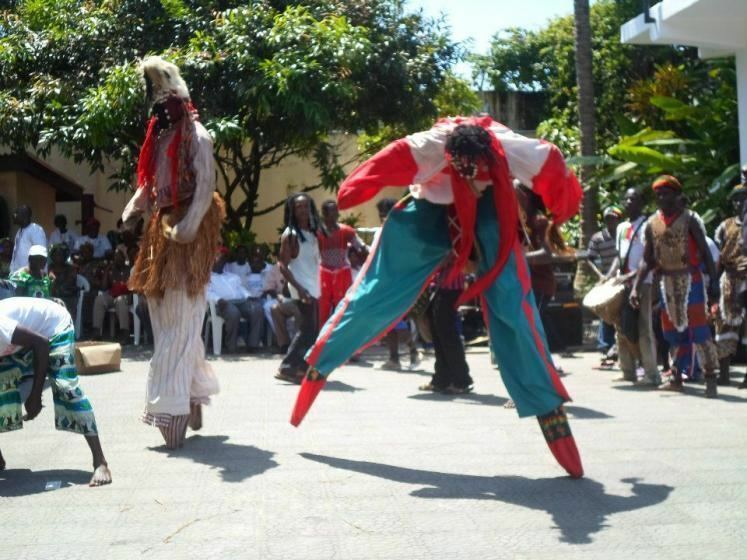 The last two groups of settlers from the Caribbean islands were some 483 from Grenada and some 400 from Saint Lucia. As job opportunities and development growth increased, the ex-Caribbean slaves moved through Grand Cape Mount, Bomi County, Montserrado, Margibi County and other regions of Liberia to seek jobs and other opportunities. 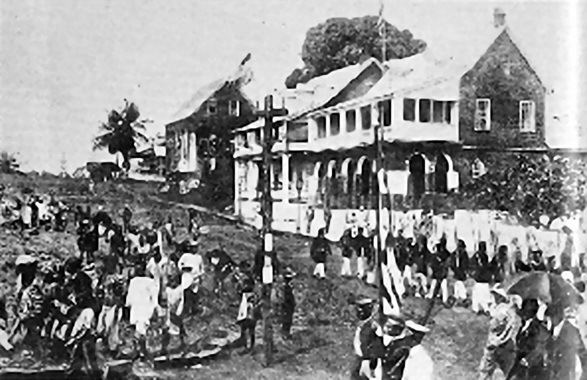 Founded on April 25, 1822, Monrovia was the second permanent Black American settlement in Africa after Freetown, Sierra Leone. Monrovia's economy is shaped primarily by its harbour and its role as the location of Liberia's government offices. It is the world's poorest city according to TheRichest. Monrovia is named in honor of U.S. President James Monroe, a prominent supporter of the colonization of Liberia and the American Colonization Society. 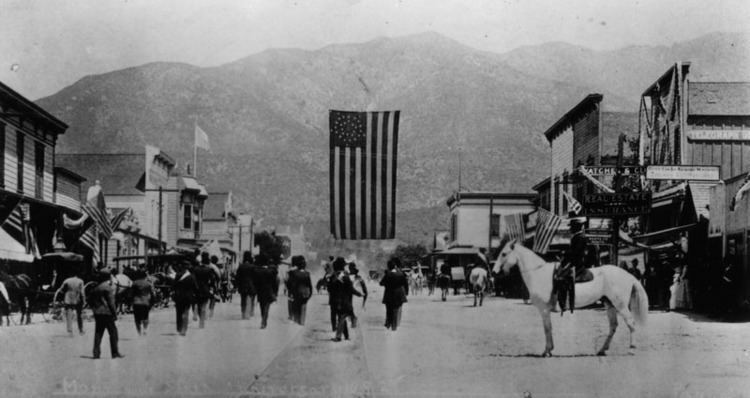 Along with Washington, D.C., it is one of two national capitals to be named after a U.S. President. In 1816, with the aim of establishing a self-sufficient colony for emancipated American slaves, something that had already been accomplished in Freetown, the first settlers arrived in Africa from the United States, under the auspices of the American Colonization Society. They landed at Sherbro Island in present-day Sierra Leone. Many settlers died in the landing. At the beginning of the 20th century, Monrovia was divided into two parts: (1) Monrovia proper, where the city's Americo-Liberian population resided and was reminiscent of the Southern United States in architecture; and (2) Krutown, which was mainly inhabited by ethnic Krus but also Bassas, Grebos and other ethnicities. Of the 4,000 residents, 2,500 were Americo-Liberian. By 1926, ethnic groups from Liberia's interior began migrating to Monrovia in search of jobs. In 1979, the Organisation of African Unity held their conference in the Monrovia area, with then president William R. Tolbert as chairman. During his term, Tolbert improved public housing in Monrovia and decreased by 50% the tuition fees at the University of Liberia. A military coup led by Samuel Doe ousted the Tolbert government in 1980, with many members being executed. In 2014, the city was affected by the 2014 West Africa Ebola outbreak. The Ebola virus epidemic in Liberia was declared over on 3 September 2015. Under the Köppen climate classification, Monrovia features a tropical monsoon climate (Am). During the course of the year Monrovia sees a copious amount of precipitation. Monrovia averages 4,624 mm (182.0 in) of rain per year. In fact, Monrovia is the wettest capital city, receiving more annual precipitation on average, than any other capital in the world. The climate features a wet season and a dry season, but precipitation is seen even during the dry season. Temperatures remain constant throughout the year averaging around 26.4 °C (79.5 °F). The city of Monrovia consists of several districts, spread across the Mesurado peninsula, with the greater Metropolitan area encircling the marshy Mesurado river's mouth. The historic downtown, centered on Broad Street, is at the very end of the peninsula, with the major market district, Waterside, immediately to the north, facing the city's large natural harbor. Northwest of Waterside is the large, low-income West Point community. To the west/southwest of downtown lies Mamba Point, traditionally the city's principal diplomatic quarter, and home to the Embassies of the United States and United Kingdom as well as the European Union Delegation. South of the city center is Capitol Hill, where the major institutions of national government, including the Temple of Justice and the Executive Mansion, are located. Further east down the peninsula is the Sinkor section of Monrovia. Originally a suburban residential district, today Sinkor acts as Monrovia's bustling mid-town, hosting many diplomatic missions, as well as major hotels, businesses, as well as several residential neighborhoods, including informal communities such as Plumkor, Jorkpentown, Lakpazee and Fiamah. Sinkor is also home to the city's secondary airport, Spriggs Payne, and the area immediately nearby, called Airfield, is a major nightlife district for the whole city. Further east of the Airfield is the Old Road section of Sinkor, which is predominantly residential, including informal settlements like Chugbor and Gaye Town. At the southeasterly base of the peninsula is the independent township of Congo Town, and to its east is the large suburb of Paynesville. Other suburbs such as Chocolate City, Gardnersville, Barnersville, Kaba Town, Dandawailo, and New Georgia lie to the north, across the river. 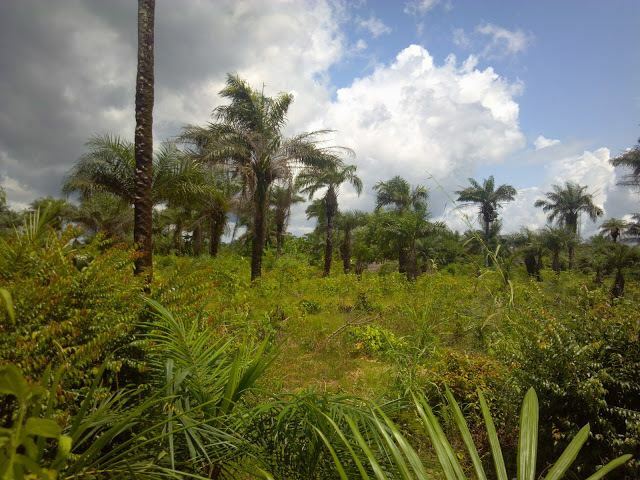 On Bushrod Island north of Monrovia are the neighborhoods of Clara Town, Logan Town and New Kru Town. To the far east are the suburbs of Stockton Creek Bridge, Caldwell, Louisiana and Cassava Hill. Boats link the city's Freeport of Monrovia, the country's busiest port, with Greenville and Harper. The nearest airport is Spriggs Payne Airport, located less than four miles (6.4 km) from the city center. Roberts International Airport, the largest international airport in Liberia, is 60 km (37 miles) away in Harbel. Monrovia is connected with the rest of the country via a network of roads and railways. Monrovia is listed as the home port by between ten and fifteen percent of the world's merchant shipping, registered in Liberia under Flag of Convenience arrangements. Both private taxis and minibuses run in the city, and are supplemented by larger buses run by the Monrovia Transit Authority. Prior to the wars, the Mount Coffee Hydropower Project provided electricity and drinking water to the city. 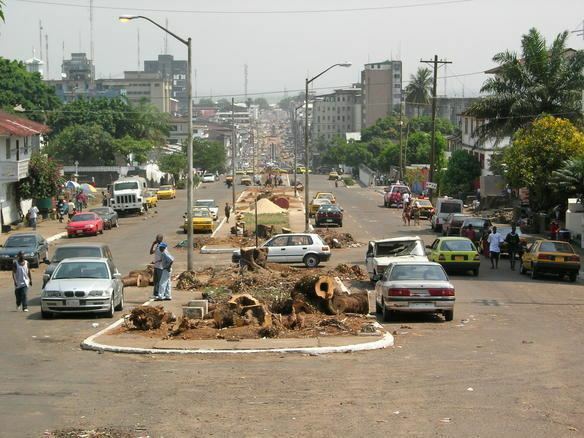 In recent years (2005–present) the roads on many streets in Monrovia have been rebuilt by the World Bank and the Liberian Government. Private and public infrastructures are being built or renovated as reconstruction takes place. Monrovia lies geographically within Montserrado County, but is administered separately. 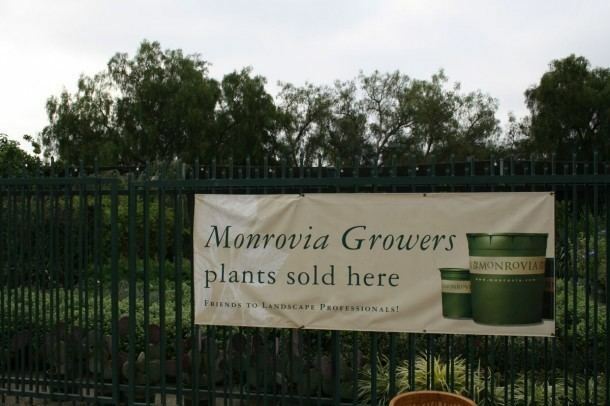 The city is administered from the district level as the Monrovia City Corporation. Unlike other districts of Liberia which are divided into clans, Greater Monvoria District is divided into zones. The newspaper industry in Monrovia extends back to the 1820s, when the Liberia Herald opened as one of the first newspapers published in Africa. Today, numerous tabloid style newspapers are printed on daily or bi-weekly basis, most of which are no more than 20 pages. The Daily Talk is a compilation of news items and Bible quotations written up daily on a roadside blackboard in the Sinkor section of Monrovia. Radio and TV stations are available, with radio being a more prominent source of news as problems with the electric grid make watching television more difficult. UNMIL Radio has been broadcasting since October 1, 2003. It is the first radio station in Liberia to broadcast 24 hours a day, and reaches an estimated 2⁄3 of the population. The state-owned Liberia Broadcasting System broadcasts nationwide from its headquarters in Monrovia. STAR radio broadcasts at 104 FM. Monrovia is home to the University of Liberia, along with African Methodist Episcopal University, United Methodist University, Stella Maris Polytechnic, and many other public and private schools. Medical education is offered at the A.M. Dogliotti College of Medicine, and there is a nursing and paramedical school at the Tubman National Institute of Medical Arts. Kindergarten through twelfth grade education is provided by the Monrovia Consolidated School System, which serves the Greater Monrovia area. Schools include Monrovia Central High School, Bostwain High School, D. Twe High School, G. W. Gibson High School and William V. S. Tubman High School. The American International School of Monrovia is located in Congo Town. Pollution is a significant issue in Monrovia. Piles of household and industrial rubbish in Monrovia build up and are not always collected by sanitation companies paid by the World Bank to collect this waste. In 2013, the problem of uncollected rubbish became so acute in the Paynesville area of Monrovia that traders and residents burnt "the huge garbage piles that seemed on the verge of cutting off the main road" out of Monrovia to Kakata. Flooding brings environmental problems to residents of Monrovia, as flood water mixes with and carries waste found in swamps that are often on the verge of residential areas. In 2009, one-third of Monrovia's 1.5 million people had access to clean toilets. Those without their own toilets defecate in the narrow alley-ways between their houses, on the beach, or into plastic bags, which they dump on nearby piles of rubbish or into the sea. Congested housing, no requirement that landlords provide working toilets, and virtually no urban planning "have combined to create lethal sanitation conditions in the capital".